They estimate over 50,000 peope protesting. Ireland's population is about 4.3M. 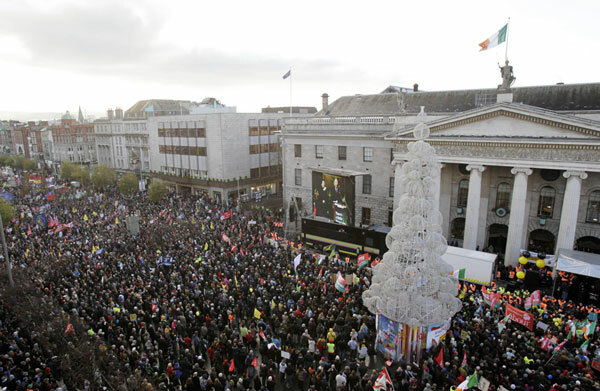 "Addressing the crowd on a podium at the GPO Irish Times columnist Fintan O’Toole said the Government is doing a deal with people who were never elected. He said the country was paying billions to bail out the banks and that the Government had declared war on the poor. He said Irish people were not subjects, but citizens, and wanted their republic back."